Black and white engraving of Nelson's losing the use of his right eye at the Bombardment of Calvi in 1794 when it was damaged by sand and stone thrown up by an enemy cannonball. 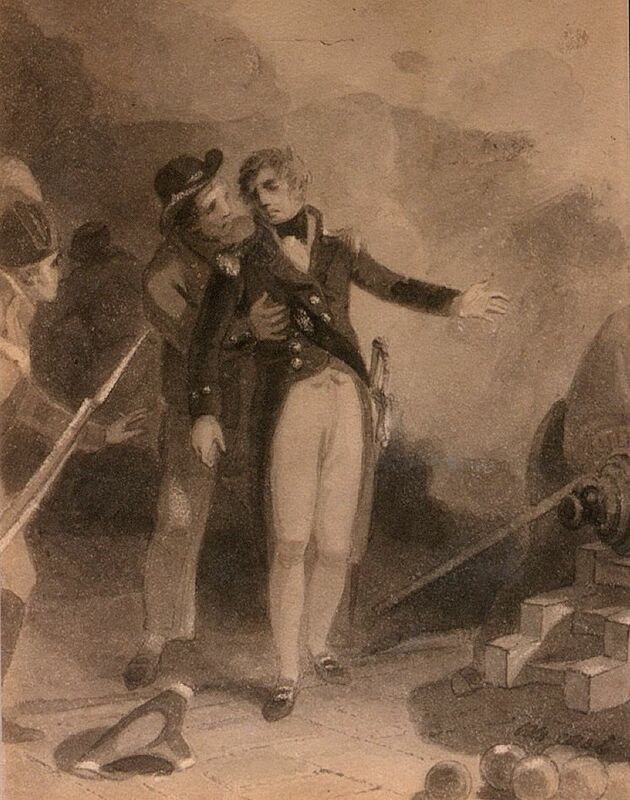 He is pictured centre, head turned to the right, falling into the arms of a sailor. His hat lies upturned at his feet. A marine to the left of the picture and a sailor stood by a cannon to the right both look towards Nelson to see what has happened. This Loss of His Eye Before Calvi Art Print is created using state of the art, industry leading Digital printers. The result - a stunning reproduction at an affordable price.